The Belmont Academy Cross Country Team raised $685 on September 28, with a fundraiser at Sonny’s BBQ restaurant, demonstrating the loyal support the Belmont community has for its students, coaches and school. 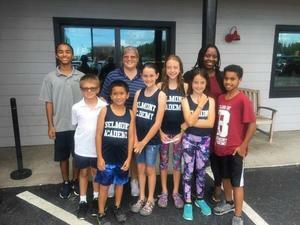 The event was organized by Shannon Sawyer, Belmont’s head cross country coach. She explained that Sonny’s generously agreed to donate a percentage of each meal to the Belmont Cross country team. The event drew massive support, filling every available seat at the restaurant for hours, Tuesday evening. 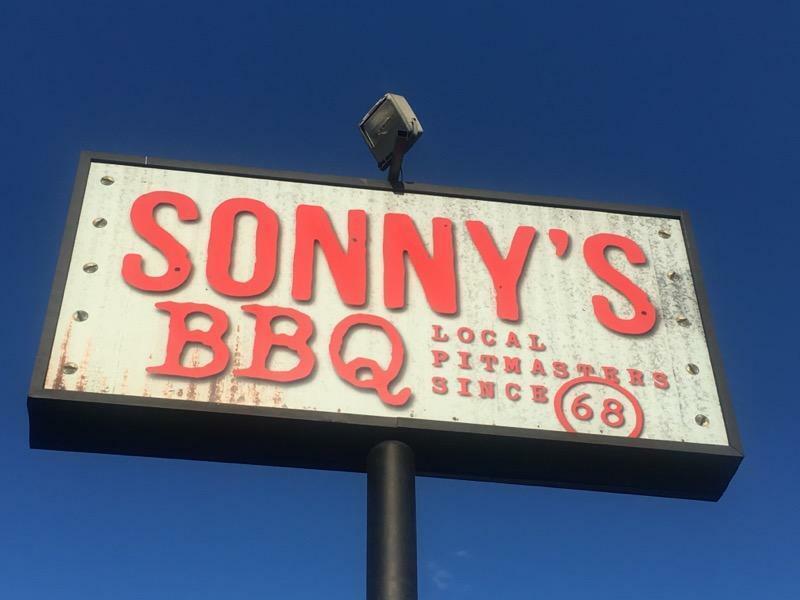 Those in attendance could be seen enjoying delicious barbecue and their favorite deserts, while enjoying conversation with friends. 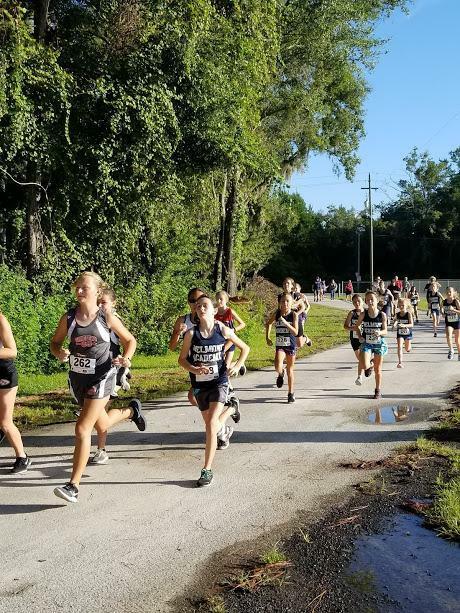 This event followed the team’s first meet at the The Hurricane Invitational, on Saturday, August 25, where the Knights middle school girl’s team took home a second place finish in their division. 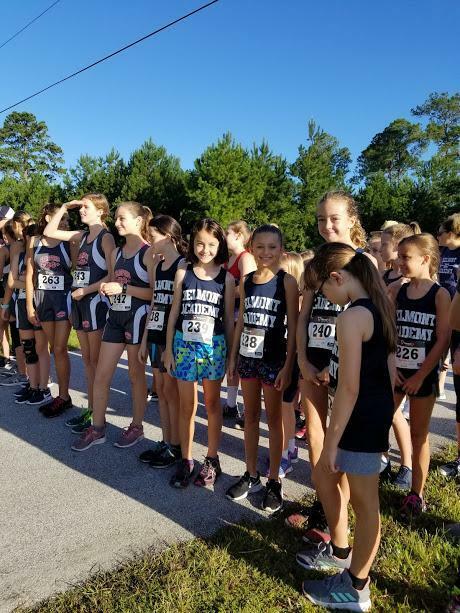 Lady racers for this second place finish included Gabby Bocanegra, Jevany Laverdure, Alyssa Hurst, Lily Huber, Kendall, Reese, Vanessa Todd and Reagan Wright. The top 10 finishers for the race included Vanessa Todd who came in second, Kendall Todd in fifth and Reese Todd in eighth place. For boys, Thomas McBride finished in sixth place. 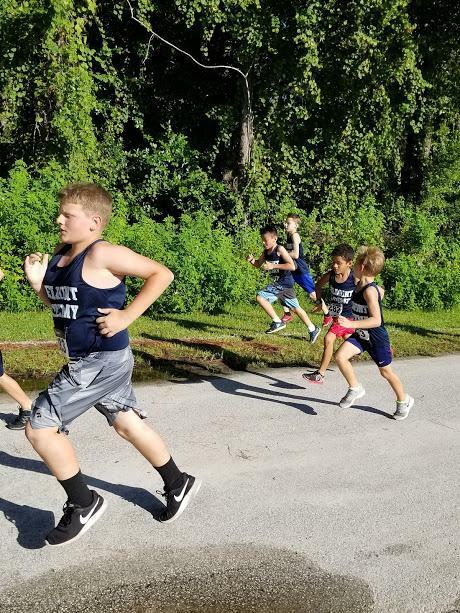 In more recent news, Thomas McBride had a first place finish at the cross country meet in Stark, at Bradford Middle School, on Saturday August 2. 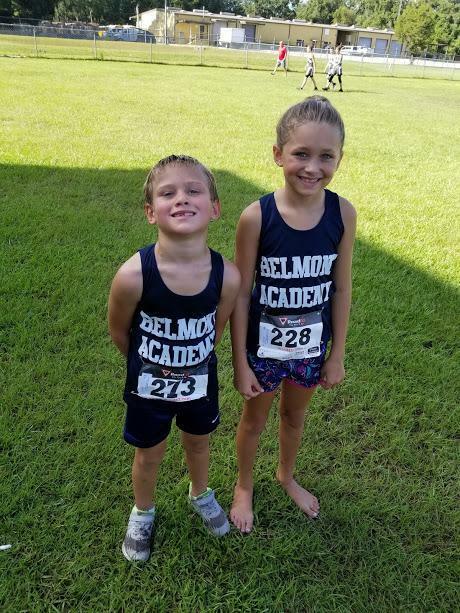 More race results will be available in the next edition of the Belmont Weekly News Online. 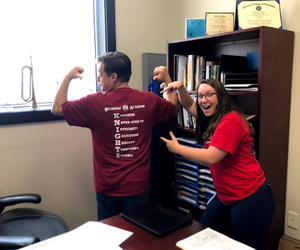 Spirit Day was on Friday at Belmont Academy Charter School. Students could be seen walking around campus with their Belmont t-shirts, demonstrating their school pride. 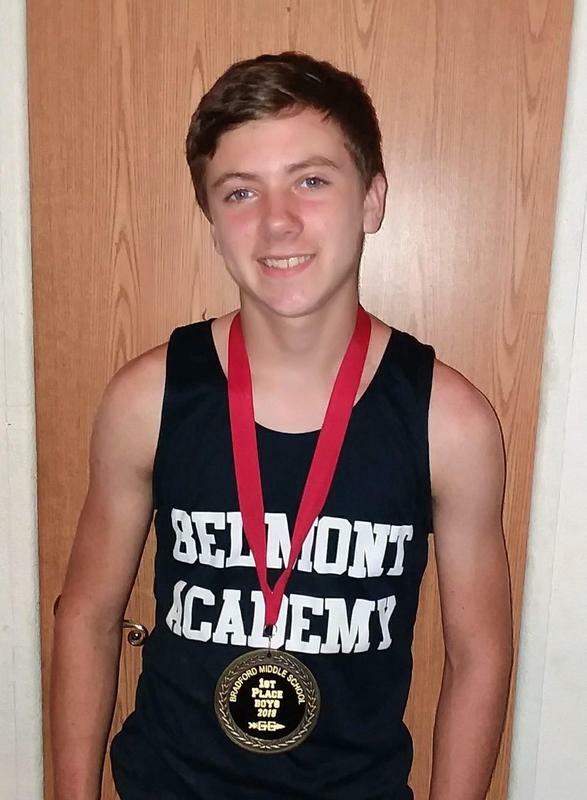 Featured pictures are from the two cross country meets as well as Thomas McBride with his first place medal. Pics from Sonny’s are also featured with those from Spirit Day.